Afghan Wars 1979 - ? Dr. Fabienne Le Houérou draws upon a wealth of literature and on oral testimonies to explore the twin notions of humanitarian crisis and humanitarian intervention. Le Houérou’s interviews from various anthropological films lend intimacy to those most affected by humanitarian crises: refugees. Le Houérou’s poignant reflections on her firsthand experience with refugees underscores the significance of her conclusions. Le Houérou’s approach eschews reductive readings of the humanitarian crises as simply historical events, but couples close readings of catastrophes with the portrayals of those living the implications. In doing so, she broadens the scope of her critique of humanitarian crises to include humanitarianism. Fabienne Le Houérou’s conclusions contrast with those from a recent book, Vingt ans dans l’ombre du chapitre VII: Eclairage sur deux décennies de coercition à l'encontre de l'Iraq (Harmattan, 2013) by Coralie Pison Hindawi. Hindawi claims the United Nations Security Council’s (UNSC) coercive actions against Iraq from 1990 to 2003 (sanction, no-fly-zone, military intervention, occupation) led to utter catastrophe, and qualifies her conclusion to oppose coercive humanitarianism. On the other hand, Le Houérou’s methodology and ambitious efforts to map the evolution of humanitarian crises demonstrates nuance. For example, Le Houérou deplores the lack of military interventions in the case of Rwanda, which resulted not only in the genocide of 800,000 Tutsi-Rwandans, but also generated another conflict and civil war in Congo. Despite agreement by both authors on the role of human suffering for geopolitical gains, the selectivity of the UNSC, and the seminal role for great powers (including China and Russia) in interventions, I found Le Houérou’s conclusions much more disenchanted and realistic than those proffered by Hindawi. Hindawi warns against the banality of coercion in the post-cold war’s international relations paradigm. Yet Fabienne Le Houérou extrapolates a range of factors for the reluctance of the international community to intervene in many instances. My own work on humanitarianism in the Palestinian territories reaches comparable conclusions as Le Houérou. I argue the catalogue of human sufferings and the diagnostic categories of humanitarian management inscribed by the deployment of "humanitarian" bio-power can be located at the juncture between the “governmentality” and the intersection of rights with biopower, as developed by Giorgio Agamben. This separation of humanitarianism and politics - that we are experiencing today - could be attributed to the decoupling of the Rights of Man from the Rights of the Citizen, as predicted by Hannah Arendt. In the final analysis, however, humanitarian and international organizations – which today are supported by governmental and inter-governmental agencies – can only grasp individuals as sacred humans rather than as citizens, and therefore, despite best intentions, contribute to the maintenance of the very power structures which necessitate the need for such interventions in the first place. Despite such revelations, humanitarian organizations continue in the role of service providers rather than challengers to status quo. In this sense, humanitarian efforts become a substitute for political efforts and, under the ideology of humanism, the international community commits to a neutral language to address conflicts. In the Palestinian territories, the normalization of the State of Exception of the Israeli occupation serves as a notable example. This enabling framework of the occupation moderates, legitimizes, and reproduces the logic of humanitarian concern to address the symptoms rather than the roots of the humanitarian crisis. This inverse moral aspiration assumes an analogous structure of exception, and facilitates further human suffering. Finally, this timely book resonates with the ongoing Arab revolutions peppered throughout the Middle East. These uprisings generated several humanitarian crises (Syria, Libya, Yemen), produced floods of refugees, and inspired a variety of interventions. Undoubtedly, the implications of these revolutions will persist for decades. In response, scholars, politicians, and civil society actors need to engage – as most are currently – in animated discussions on the preferred mechanisms of transitional justice at the national or international levels to further peace and reconciliation. Should greater weight be granted to the International Criminal Court or to localized legal or political institutions? Moreover, these humanitarian crises and ongoing tragedies demand reflection on the evolution in the rhetoric used to define such situations to foster a more robust grasp of the potential implications. Thus, Le Houérou’s important contribution to these discussions serves a crucial purpose to not merely explain the past, but also to better grapple with the present, and in doing so explore the implications for the future. This book examines the emergence and evolution of the notion of “humanitarian crisis” as a pretext for military intervention from the Cold War to the current Afghan crisis. Each chapter outlines a series of crises in chronological order from 1959 to 2013, with a focus in the post-Cold War paradigm of “collective security” and intervention. The primary aim is to detail the influence of humanitarian field on both international conflict and international relations in the post-Cold War paradigm. Historical reflection, as a methodological approach, maps the evolution of the terms to define humanitarian crises in international relations from 1959 to the present. Historical cases offer individual examples to examine the politics of intervention, but also offer an opening to leverage multidisciplinary tools, such as anthropological tools, to explore the social consequences of situations, namely social chaos, forced migrations at large, or gendercide. This book draws on extensive field research and visual anthropological films on Diaspora in Ethiopia, Eritrea, Sudan and Egypt, India communities over a fifteen-year span. I examine each crisis in isolation to map the politics of intervention and the varied interpretations of a humanitarian crisis. Each chapter highlights the historical context of the emergence of violence, the response of the United Nations (UN) and international community, as well as the limitations therein. The first chapter explores the notion of “charity” as the spiritual, social and strategic basis of humanitarian solidarity in a form of “charity in action”. Subsequent chapters engage case studies in chronological order. The book outlines the major “humanitarian” crisis, such as Tibet (1959), Ethiopia (1985), Somalia (1991), Rwanda genocide (1994), ethnic cleansing in former Yugoslavia (1992-1995), ethnocide in Darfur (2003-2009), Congo (1996-2003), and Afghanistan (2001-present). Each case charts the salience of “humanity” – as a notion underpinned by “charity” – by groups of western countries in the post-Cold War paradigm. I posit answers to the following questions: To what extent does the international system affect humanitarian interventions in post-Cold-War era? Are economic factors (greed) or ethnic identities (grievances) drivers of humanitarian intervention? To what extent does the genocide paradigm serve as a valuable tool to analyze contemporary crises? I claim skepticism of political and social framing is necessary to explain the politics of intervention. This book marks the culmination of over twenty years of field research in different parts of the world. It attempts to answer a fundamental global question: How genuine is the humanitarian paradigm in International Relations? Direct experience with major crises in countries, such as Ethiopia, Eritrea, Sudan, led to personal reflection on the contradictions in post-cold war paradigm of humanitarian action. No international action bereft of political motives, and my observations of humanitarian crises prompted questions on the veracity of the humanitarian concept. Field research and practical experience in Africa, Asia, and Europe frame this inquiry. I demonstrate righteous intentions and notions of solidarity served as tools for geopolitics. The notion of charity, as a universal value, pervades Islam, Christianity, Buddhism, Hinduism, and lends itself to political instrumentalization in humanitarian action. My motivation was derived from a need to move beyond the haze of mediation in the form of politicians, news outlets, and pundits. More specifically, I probe the role of the media in the propagation and promotion of the notion of humanitarian action. This interplay between media and international relations was most apparent in the Rwandan genocide and Darfur Ethnocide. I pose the question: Why was the International community inactive during the Rwandan slaughters in 1994, and why was there a public outpouring of condemnation in Sudan for genocidal actions in Darfur? The book acknowledges various interpretations of genocide and ethnocide, but seeks further refinement of the terms in comparative examinations of Tibet, Yugoslavia, Rwanda, Congo, and Darfur. A separate driving question related to designation. I question the reasons certain situations are labeled as genocide whereas other serious conflagrations are deemed civil wars. A comparative historical approach was the key to shed light on the rules of international relations and the utility of concepts as tools of action. The concept of genocide serves as a central subject of examination. I acknowledge the varied categories of genocide through the historical reflection. I underscore the divergences between the definition of genocide clarified by the 1948 Genocide Convention and situations of ethnocide. Moreover, genocide by attrition – absent direct killings – through starvation and famine as tool of elimination and displacement, as in the cases of Tibet and Ethiopia, offer notable examples of this distinction. On the other hand, the situation in Rwanda met the criteria outlined in the 1948 convention. Finally, the Darfur case remains ambiguous and is referred to as a case of “ethnocide”, the systematic elimination of a whole population not exclusively based on race. 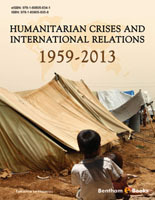 I hope this overview of the main humanitarian crises from 1959 to 2013 inspires the reader to deepen critical views on the contextualization of abuses as crises and to foster a willingness to question the veracity of the “humanitarian” in humanitarian action. The research for this book drew from the wealth of literature on the individual historical case studies and analysis, but most prominently, leveraged the oral testimonies of refugees. Most interviews were conducted for various anthropological films, particularly those on Darfur. This engagement with refugees provided raw insights into the notion of humanity, and challenged the conceptual underpinning of humanitarian intervention. Refugees, as the most deeply affected populations of conflict, offer invaluable perspectives, given their direct encounter with humanitarian crises, and the everyday reality of living with the implications of those crises. This effort sought to honor and amplify their voices to improve conventional notions of humanitarian crises and to better inform discussion of humanitarian action. This publication serves as a tool for students of the history of international relations, human rights, and international migrations. It also offers a contextual primer for non-governmental organization (NGO) personnel, journalists, diplomats, actors, doctors, and military staff. The subject transcends disciplines, namely anthropology, history, and political science, but avoids jargon specific to any for the purpose of clarity and for relevance to those interested in humanitarian action and the history of international relations.